Today I have a look at the NYX California Palette, which features 10 eyeshadows that are inspired by all things about the golden state. There is a good mix of neutral shades and pops of color throughout the palette. 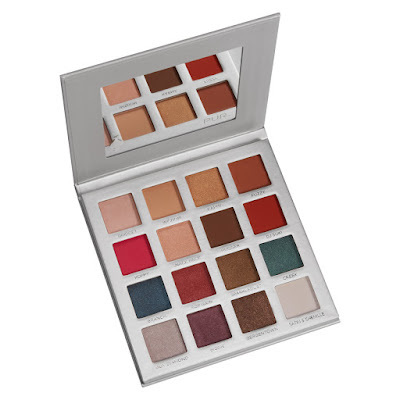 Since I have always lived in CA, This palette is fun and I love the names of the eyeshadows. The California palette features the vivid artwork of world-renowned street artist, Hueman. See more swatches below! 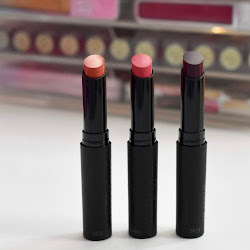 Today's Sample Saturday features the new Tarte FRXXXTION Stick. I recently received this in a Sephora Play! box. It is a 3-in-1 exfoliator, cleanser, and face mask in a stick form. It is made to give a solution for oiliness, pores, and dull/uneven texture. The formula is vegan-friendly and draws out surface oil and reduces shine, while purifying pores for a deep clean. Find out more on my thoughts below! 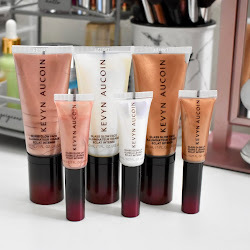 Today I have a review of the new Milani Retouch + Erase Light-Lifting Concealer. It is made to be easy to apply with the sponge tip and it has buildable coverage. There are 6 different colors to choose from, and I have the shade Light. The concealer will give a brightening effect and erase dark circles, spots, blemishes, and imperfections. Find out more below! Today I have a look at what's inside this month's Play! by Sephora box. Everything in the box is to refuel and detox your beauty routine with products for hair, face and lips. 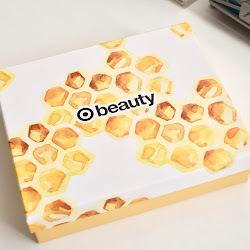 I was really happy with what was inside and most of the products are new to me. Find out more below! ChapStick Total Hydration Products + Win $25 Target Gift Card! Today I have a look at the ChapStick Total Hydration line which has a variety of formulas to choose from. There are some that are 100% natural, tinted and more. You can expect them all to give your lips moisture and keep them hydrated all day long. I can always find them at Target, which is my go-to store for ChapStick products. Find out more on these and how you can win some and a Target gift card below! New for spring is the Wet N Wild Photofocus Foundation that is made to look like your skin, only better. It is made with a matte, light-diffusing complex to give a nice even look. There is also a light-adjusting complex to help prevent white cast in photos. You can choose from 20 shades which is a good range for Wet N Wild to start with. It's great that it focuses on how it will look in photos, but I also was concerned about how it would wear throughout the day. Find out more about this below! Today I have a look at the e.l.f. Baked Eyeshadow Trios in Peach Please and Brown Bonanza. There is actually one other shade than these called Lavender Love. Since these shadows are baked, they can be used wet or dry depending on how much pigmentation you are want. I was really surprised at how well these worked and the colors are gorgeous. See more swatches below! Too Faced has recently came out with a new collection with different peach products, including a return of the Sweet Peach Eyeshadow Palette. I'm so excited to finally get my hands on it since I wanted it when it first launched. It comes with 18 eyeshadows ranging from peachy pinks, corals, neutrals, and even purples. Find out more and see swatches below! Pur Cosmetics has a new eyeshadow palette coming soon that is inspired by Trolls by Dreamworks. It has some nice bright shades and neutral colors that is the perfect balance of both. It is a vivid and inspiring collection full of attitude for endless eye looks. The palette comes with 16 eyeshadows and a large mirror. See a closer look at the shades below! Wet N Wild has come out with a lot of new makeup products recently, including these Mega Cushion Highlight and Contour. I spotted these at Walgreens and I decided to pick them up. The packaging really got me since they are so cute and different. 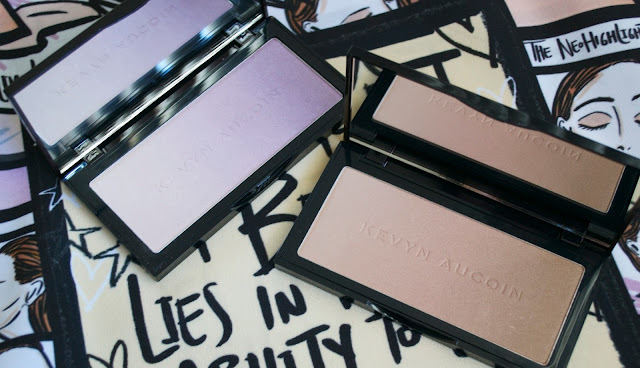 See how they look inside and swatches below!